Looking for a Used Q40 in your area? CarGurus has 188 nationwide Q40 listings starting at $11,995. 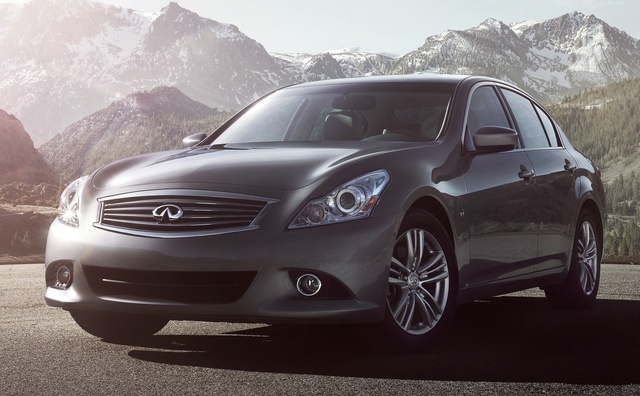 After a one-year timeout, Infiniti again offers its value-packed G37, but for 2015 it’s been renamed the Q40. The newly re-branded Q40 is a 5-seat, sport-oriented midsize luxury sedan that’s touted by the folks at Infiniti to be a low-priced alternative to the far more refined Q50. 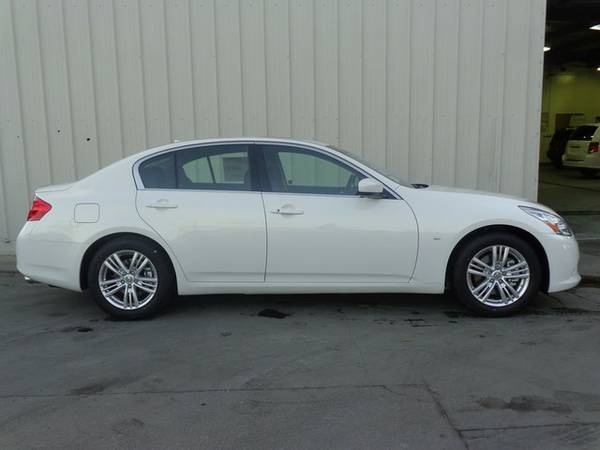 This spiffy sedan offers a passel of driving delight, some sporty ambiance and a bunch of standard creature comforts, yet it doesn’t carry the hefty price tag of more cachet-driven rivals. Unfortunately, according to a number of reviewers, said appearance, comfort and convenience bling is not as in-tune with modern sensibilities as is that found in the Q50. Meanwhile, the normally aspirated V6, though certainly peppy enough, lacks the refinement of competitors' equally potent turbocharged 4-cylinder powerplants. In any case, the sort-of-debuting 2015 Q40 is delivered in a single base 3.7 trim, with rear-wheel drive (RWD) being the standard drivetrain configuration. However, should there be the possibility of snow in your future, this snappy 4-door can be driven away with available intelligent all-wheel drive (iAWD). This traction-boosting system allows RWD cruising on dry surfaces while standing ready to automatically divert torque from the wheels that slip to the wheels that grip when the snowflakes fly. Power-wise, look for the 2015 Q40 to tote a 328-hp 3.7-liter V6 engine that mates with a standard 7-speed auto-manual transmission for 269 lb-ft of torque. Expect an EPA-estimated 19 mpg city/27 highway in RWD-equipped versions and 18/25 in AWD iterations. Additionally, a driver-selectable Snow Mode is added to the AWD variant to adjust throttle response and shift points for more traction-challenging conditions. As for standard adornments, the 2015 Q40 comes equipped with 17-inch alloy wheels and heated power-adjustable mirrors outside, while leather upholstery, heated power-adjustable front seats and full power accessories, including remote keyless entry and ignition, grace the inside. Of course, cruise control and telescoping tilt-wheel steering come standard, as do dual-zone climate control and Bluetooth hands-free calling, along with a single-CD player boasting 6 speakers, satellite radio and an iPod-ready USB interface. For some extra cash, your new Q40 can be equipped with an available power sunroof as a standalone option, while GPS navigation and a 10-speaker Bose premium audio system sporting a 7-inch color display integrated with a USB flash drive each comprise the available Navigation Plus Package. Standard safety equipment in the introductory 2015 Q40, finally, includes 4-wheel antilock brakes (ABS), front and rear head airbags, front side-mounted airbags and front head restraint whiplash protection. Further standard safety stuff includes front fog/driving lights, high-intensity-discharge (HID) headlights and a remote antitheft alarm. What's your take on the 2015 INFINITI Q40? Freecell I drove both the Q40 and the Q50. I bought the Q40. I liked both, but the Q50 was not worth the additional $5000. 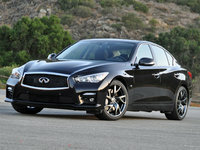 Mrincredible112 I drive the q40 and q50 mechanically there the same. I ended up buying the q40 with the 10 speaker Bose system the q50 was 8000 more couldn't see myself spending it since there were mechanically identical. Have you driven a 2015 INFINITI Q40?